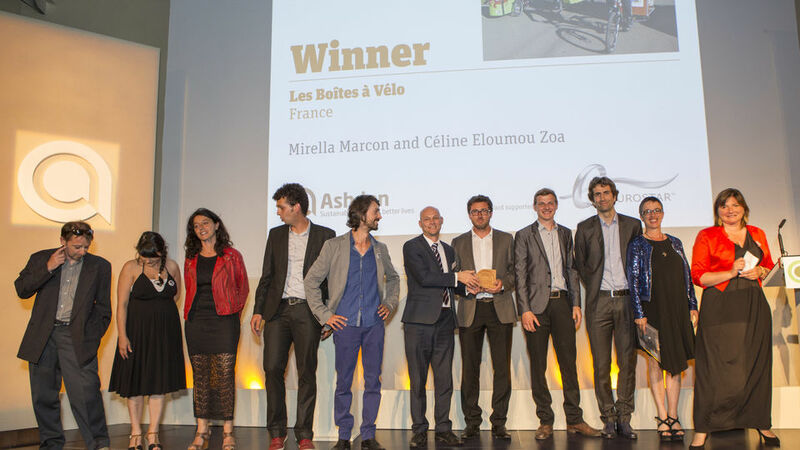 Les Boîtes à Vélo members receiving their award from Luke Ervine of Eurostar. Businesses face the challenges of meeting their customers’ needs while attempting to minimise their environmental impact and making a profit. Cars are an environmental and health problem as they contribute greatly to air pollution which kills 29,000 people in the UK alone yearly. Les Boîtes à Vélo, a group of 21 businesses, has broken the mould, ditched their gas-guzzling vans, and is using bikes. By replacing vans with bikes, their service is better, faster, 20% more profitable and more sustainable. 35 tonnes of CO2 saved per year. 105,000 km travelled by bike per year. Their simple, visually appealing idea is eminently replicable across France and beyond, and we were really impressed and amazed by the variety of bikes and huge range of businesses involved. Could this be the beginning of the end for the white van? Les Boîtes à Vélo, based in Nantes, is a unique collective of 24 businesses that in 2012 decided to ditch their gas-guzzling delivery vans in favour of something far more clean and healthy: a bicycle with a box attached to it. 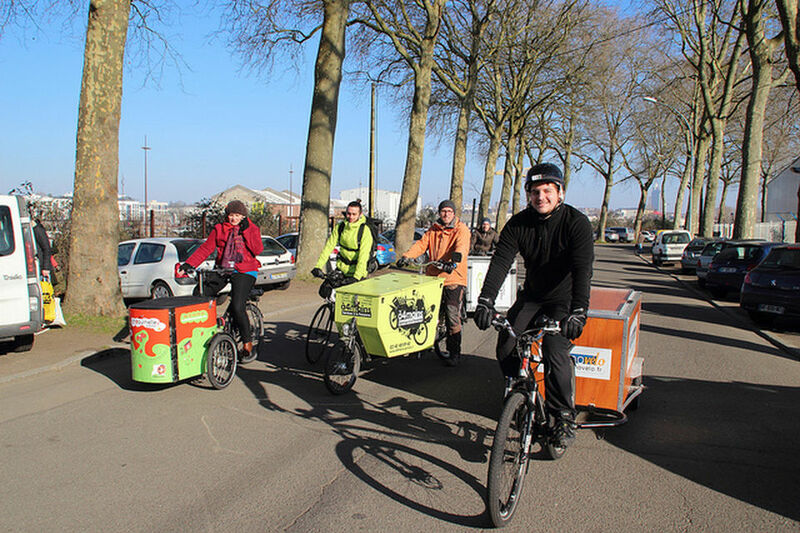 The ‘bicycle boxes’ enable flexible and fast delivery, while members of the collective, from couriers to caterers, support each other by acting as a cross-referral network. So far Les Boîtes à Vélo has taken 21 trade vehicles off the streets of Nantes, helping demonstrate the true potential of cycling in the city. And with their businesses growing, the collective is also taking its message to other towns and cities in France. 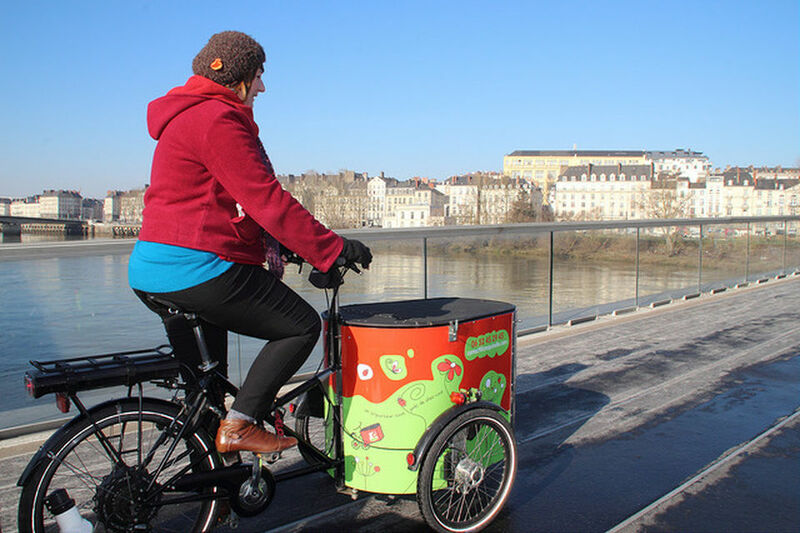 The independent businesses that form Les Boîtes à Vélo collectively work with over 7,000 clients each month, and have taken 30 vehicles off the roads of Nantes by choosing to use bikes. 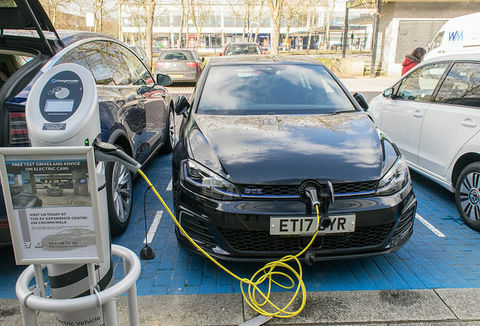 The estimated CO2 savings are 35 tonnes per year, resulting from eight businesses that would have used a car and 13 businesses that would have used a van. Les Boîtes à Vélo’s total distance travelled by bicycle is about 105,000 km per year. All Les Boîtes à Vélo members agree that by using bikes they are seen as much more open and trustworthy. All Les Boîtes à Vélo members agree that by using bikes they are seen as much more open and trustworthy. People stop them to speak to them in the street and their bikes are a real advantage in terms of marketing their services. It helps them to stand out from other businesses. Les Boîtes à Vélo members Ze Plombier (a plumbing business) and La Bricolette (a carpentry business) are 20% more profitable when using bikes rather than vans, due to reduced business travel costs. 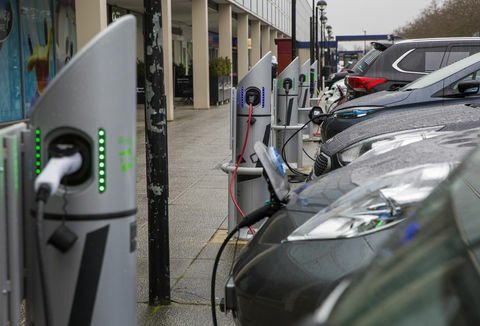 For example, most plumbers will charge between €40 and €60 as a standard call-out charge – this charge covers the costs of their vehicle, insurance, fuel and parking. Ze Plombier charges just €20 for its call-out fee, with only €5 of this going to cover its costs, so is making an additional €15 profit from its service. In the short term Les Boîtes à Vélo plan to have 30 to 50 members of the Nantes collective by 2016. Following that, they would like to help other cities to start up their own collectives – one is already being set up in Chambéry, a town in the east of France. Looking to the future, they would like to see many collectives across other cities in France, Europe and further afield. These collectives would form a Federation, lobby for political change and aim to influence decision makers. 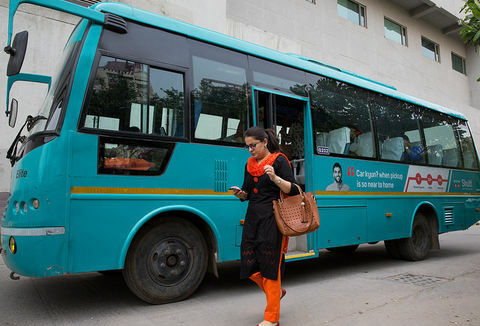 They are the pioneers for this new kind of business travel. 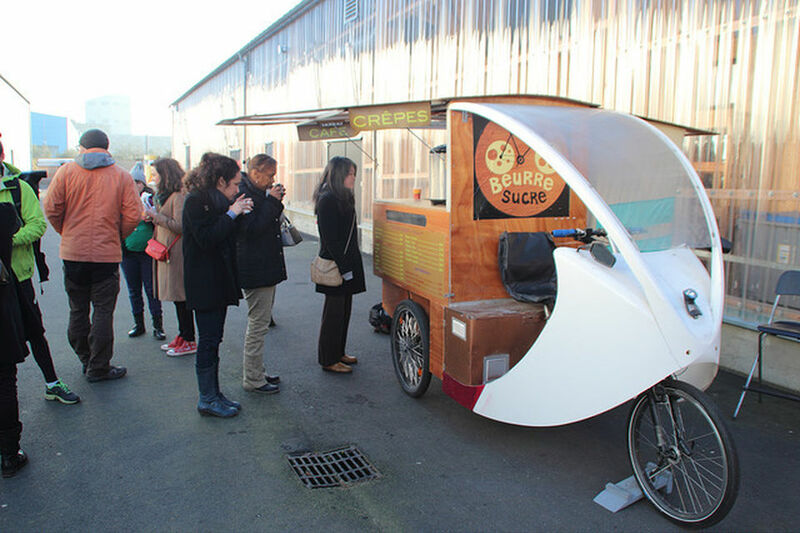 Les Boîtes à Vélo is showing that ‘yes, this is possible’ for all kinds of businesses. Together they can build their businesses. It is a sign of the future. Les Boîtes à Vélo is an association of independent micro businesses. The members are grouped into three categories: trades people, deliveries, and catering. Businesses that wish to join the collective need to be fully operational (with all the permits required in place), using a bike as their method of travel or transporting goods, and promoting the use of bikes for business to others. The businesses decide which type of bike they purchase (electric or not) and which type of box or trailer it will have. This is determined by the type of work they carry out and what equipment or goods they need to carry. By using bikes, they are able to access all areas of the city and park right at the entrance of the building they need to work at. Additionally, they have no parking costs or risk of parking fines, and can use the narrow roads and access the pedestrian areas. On bikes, they are faster than using vans as they are not affected by traffic. 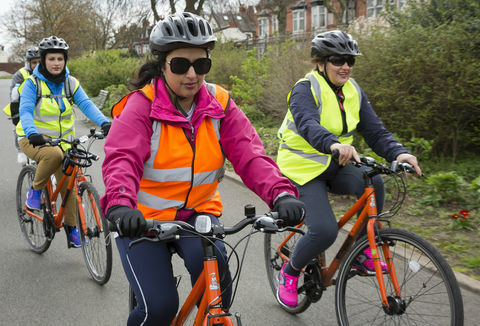 Using a bike is the best communications tool – people see your bike and ask you questions and talk to you. Purchasing the bespoke bikes can be a substantial investment for the businesses. The smaller bikes with trailers or boxes cost between €3,000 and €5,000 each, and the larger bikes with specialised catering facilities can cost up to €15,000. However, the cost of a simple delivery van would be at least €20,000.